Everyone has to do laundry… and Crystal Wash is something that saves us money, and it is better for the environment. 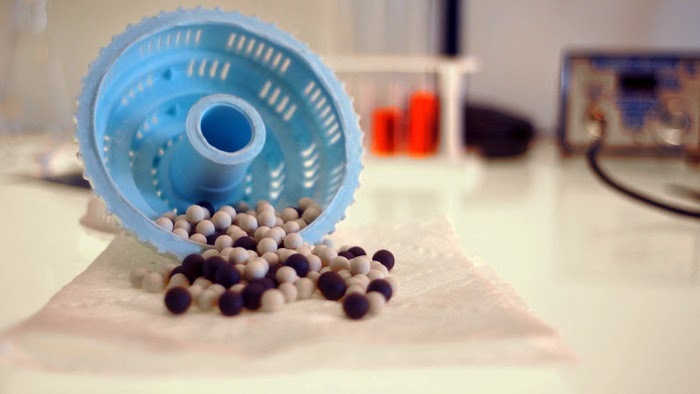 It has clinically demonstrated to be as effective as detergent and allows us to do 1,000 loads of laundry without using detergents, chemicals, dyes or perfumes. I am looking forward to using Crystal Wash, which sounds like an efficient and natural way to do laundry. 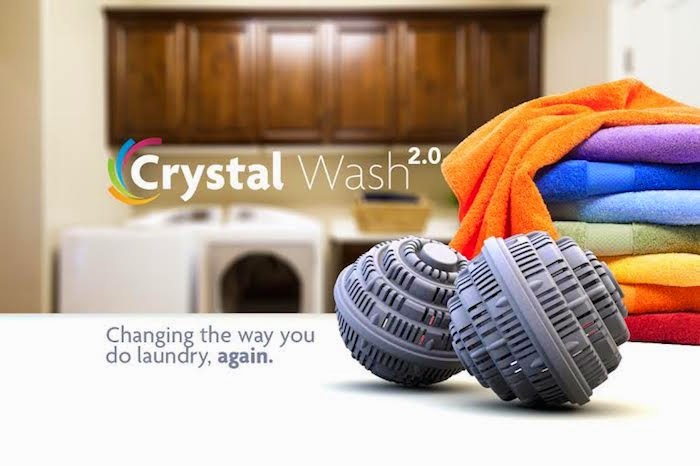 The team at Crystal Wash is planning on launching their Crystal Wash 2.0, the “connected” version on Kickstarter January 26th, which will make it even easier to use the already successful Crystal Wash. 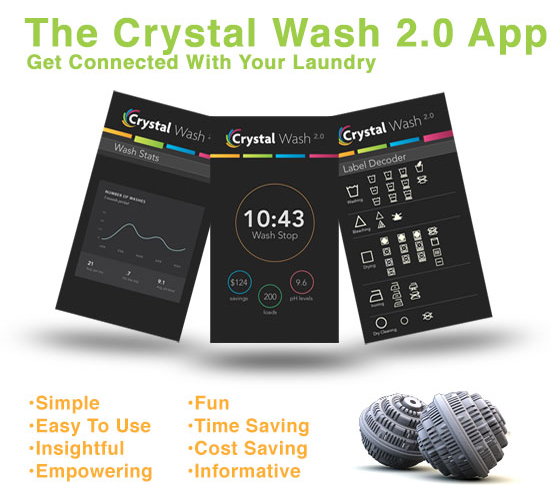 Crystal Wash 2.0 will also give us a set of tools and features that will help you do our laundry better. A state-of-the-art pH water sensing chip and a micro-controller with Bluetooth capability will be embedded inside the current Crystal Wash giving users accurate recharge alerts so that they don’t have to remember when it is time to place the Crystal Wash in the sun. Users will have tools and features on their smartphone to help doing laundry easier and more effectively. Check out the details and its performance on the video below. this sounds really interesting ..
What will they think of next, maybe a robot that will fold the laundry, now that would be awesome!! This seems very high tech.. Interesting. never heard of this before ....very neat! Great advice on Laundry Thanks. What in interesting product. Never heard of it before. I've never heard of this before, its intriguing. This is great, although I don't think I would find this necessary. this sounds interesting. Ive heard of using tennis balls for laundry, I could def try this. I'd love to try this out. I'm always worried about chemicals on the kids clothes. Wow, I have never heard of thisl. Wow-1,000 loads of laundry without using detergents!! This is an amazing product that I had not heard of before! Wow! I have never heard of this before. It's so cool!